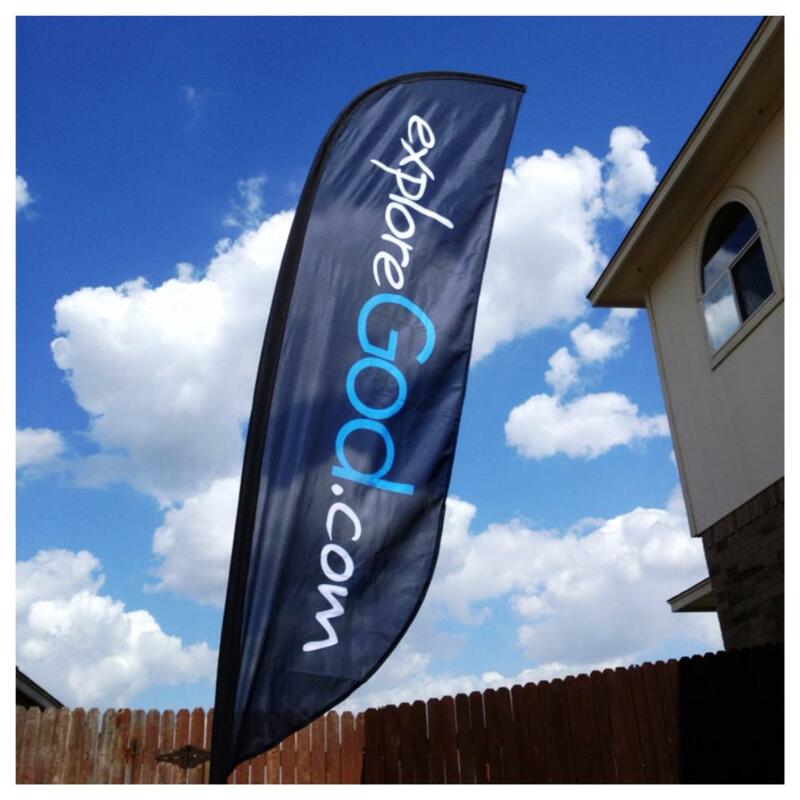 Here’s an Explore God feather flag we just completed. Love the look of these. We provide quick, custom design and printing that doesn't cost an arm and a leg. If it can be printed, we have a great source for it and with almost 20 years of marketing and design experience, we can help you develop new strategies to present your business to the world. Direct Mail, Business Cards, T-Shirts, Banners, Brochures, Feather Flags, Door Hangers, Banner Stands, Yard Signs. Not seeing what you need? Let's talk. We will find you a solution.